Sweden’s Noemie Nours promises ‘All-ages slo-fi lullabies, supporting a non ideological, vegan and drug-free lifestyle,’ and all of the proceeds from digital sales this, her third LP, will be donated to the charity Orphaned Wildlife. Such selfless acts are increasingly rare in a (rapidly changing) climate dominated by Brexit and right-wing, hardline capitalist ideology, while we still feel the repercussions of the last economic downturn which followed the sub-prime housing crisis of 2008-2009. 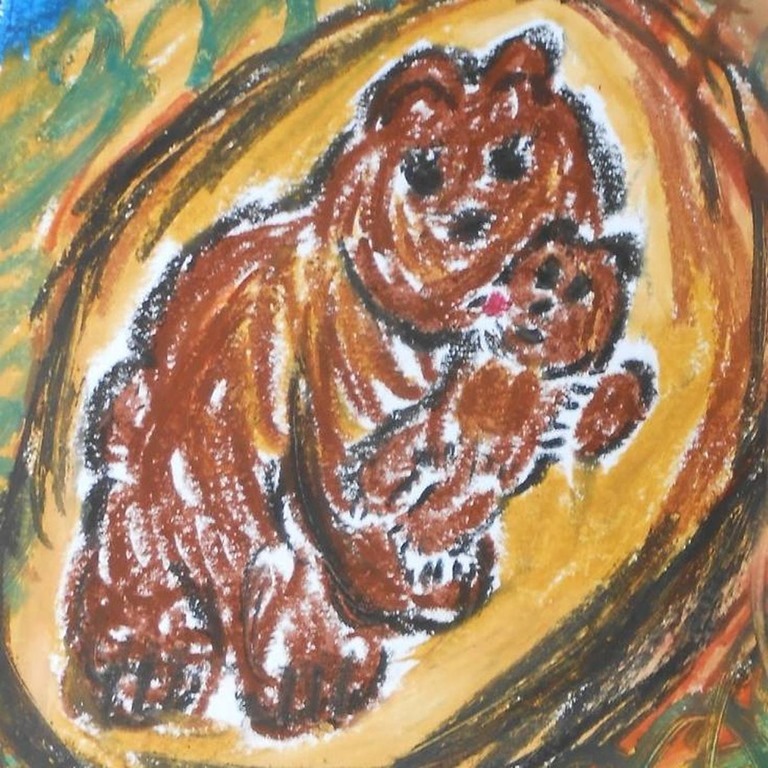 For an artist to make art for the greater good rather than for gain is admirable, and Noemie Nours has made it her mission to do whatever she can to save the bears. Bears are her thing. As is slightly off-kilter folk music. And I’m not going to mock. Following on from debut single ‘The Life of Bears’ and album Bear Meditations, her love of bears remains undiminished with As a Beare Doth Her Whelps. The album’s seven songs are primarily constructed around picked acoustic guitar and vocals, and if the titles betray the thematic leanings of the lyrics or musical intent (‘Bearsplaining’, ‘Den’, ‘Brought into a Wilderness’, ‘Ursa Minor Forest’), there’s also something of a sparse primitivism about the songs, too. There’s an innocence and openness about Noemie Nours’ music that’s refreshing and utterly charming, while occasional passages of jagged fretwork and melodies which wander off the path of conventional key and notation are very much part of the appeal. With its sparse arrangements, slow tempos, and overt lack of complication, you might say that it’s an album that’s very much about the ‘bear’ necessities.